Way more exciting than the standard cheese plate, but just as easy and quick to prepare. 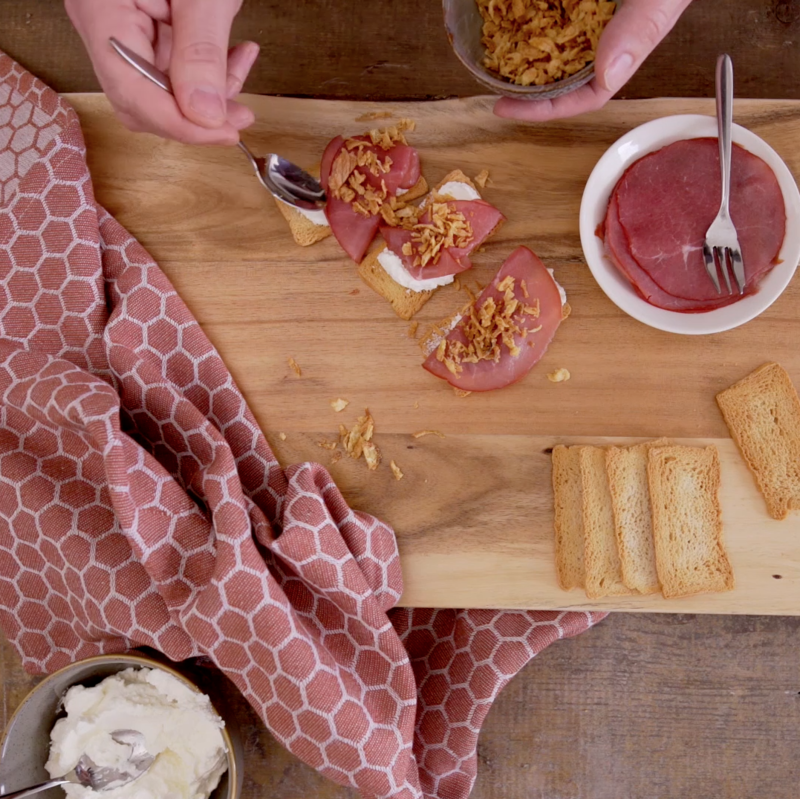 Your guests will love Melba toast with cream cheese, smoked meat and fried onion, no doubt. Spread cream cheese on the Melba toast. Divide the smoked meat and fried onions into equal portions and arrange them on the pieces of toast. Top with a pinch of curry. Enjoy! Tip: Try this recipe also with herbal cheese or Brie.